In online discussions about my article “30 Questions Nobody Has Asked My Husband” I noticed a theme in many of the comments: the phrase “you’re choosing to be offended” (or some variation of it) emerged over and over again in response to the article. I found this fascinating because I am not personally offended by the questions; I am, however, very curious about underlying gender assumptions, concerned about the impact of our unexamined perceptions, and I believe that we, as a culture, could greatly benefit from more self-reflection and thoughtful dialogue. What have the Church leaders said about choosing to be offended? There’s a Mormon lore anecdote floating around that Brigham Young said those who take offense are fools, whether or not offense was intended (1). And of course, the historically documented (and more doctrinally sound) discourse on the topic by Elder David A. Bednar, who said that “To be offended is a choice we make; it is not a condition inflicted or imposed upon us by someone or something else”(2). I wholeheartedly believe that we are ultimately responsible for our own emotions, perceptions, experiences, and offenses. However, I think it’s important to make the distinction between taking responsibility for our own feelings and taking it upon ourselves to point out when others are or are not taking responsibility for their experiences (i.e. : when, according to us, someone is choosing to be offended). This was a theme in my articles on modesty — our tendency to use counsel, quotes from leaders, and commandments as a measuring stick to judge others, instead of applying them to ourselves. Just as modesty standards are designed to be applied to ourselves and those in our stewardship, it is also not our job to judge who should or should not feel offended by a given situation. This can be a self-righteous way to minimize the experiences of others. Perhaps in very specific situations, a close friend or confidant can kindly let us know if we’re being too sensitive, but this kind of counsel certainly won’t be well-received or internalized by an internet stranger writing a comment on a discussion board. Let’s stick to evaluating our own righteousness instead of calling out others for their weaknesses (real or perceived). If someone takes offense or is hurt by your words or behavior, it’s easy to deflect responsibility by labeling him/ her as overly sensitive. 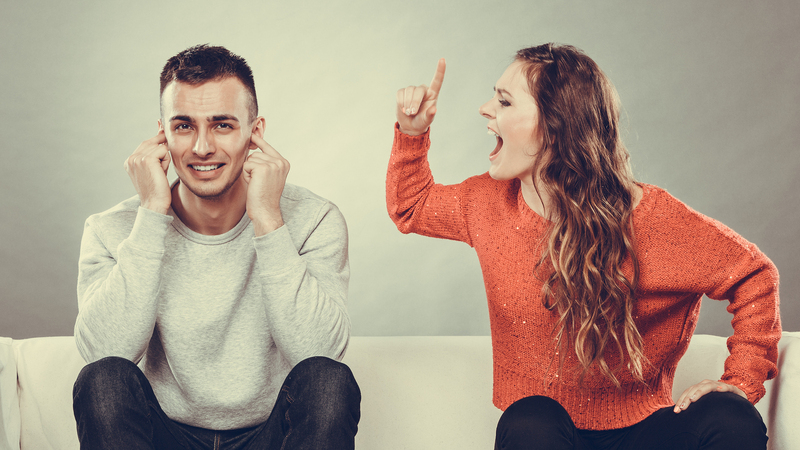 When used as a shield to avoid self-awareness, pulling out the “you’re choosing to be offended” line robs you of insight into the part you play in the relationship. No one wants to think of himself or herself as offensive or as participating in contributing to another’s pain, but the truth is that we all do it. Why not be willing to look at ourselves and learn about some of our individual and cultural blind spots, instead of pretending that we don’t have any? All relationships are circular, and both people contribute to the dynamic. It is our responsibility to reflect on our own contribution to the relationship dynamic. Telling someone that he/she is choosing to be offended or is too sensitive is a subtle way of shutting down a conversation in order to avoid taking responsibility. When we use the phrase “you’re choosing to be offended” there is often an implicit (or explicit) assumption that being offended is always a bad thing. There are situations where an appropriate, even healthy response is to be intensely offended by something or someone. Abusive behavior, manipulative behavior, disrespectful comments and putdowns are just a few examples of times where feeling angry, resentful, and upset is a healthy response. In my clinical practice, I’ve seen many LDS people gloss over, minimize, or ignore certain behaviors that are offensive in an effort to be (or appear to be) “forgiving” to avoid conflict, and a myriad of other reasons. What was my contribution to their experience of feeling offended? Was I being insensitive or manipulative in a way that I might not recognize? Is this relational pattern that would be helpful for me to explore? What can I learn from this interaction that will help me to be more sensitive, compassionate and Christ-like? It has been several days since the article, which I loved, came out but I would like to make some comments. I have quoted Brigham Young on the quote about being offended many times, although I always add I don't know if it originated with him or he was quoting someone else! This article brought out some excellent points not the least of which is not always is being offended a bad thing, and also don't use "You're choosing to be offended," as some sort of trump card to be offensive! I also would like to say I enjoyed the comments by Sherilynn, about comments another person had written. I agreed with you completely Sherilynn! I met a man who had been married for 60 years. I asked him how he managed to stay married for so long. He said that first thing in the morning he just apologizes to his wife for anything stupid that he might do or say during the day. It sounded like good advice. Apologizing in advance doesn't give you a license to be offensive but most often I think I am clueless that I have offended my wife. Apologies are good if they are followed with some thoughtful behavior change. Just sayin.